As a leading contract research organization, ProteoGenix has an extensive experience in the development of optimized therapeutic monoclonal antibodies. Our unique portfolio of integrated services allows us to guide you through your antibody drug discovery challenge from target selection to clinical candidate. Why choose ProteoGenix's therapeutic antibody services? each go/ no go steps are accompanied by guarantees based on the success of the step. You keep the control of the process while transferring risks to us. one partner from target selection to the clinic thanks to a streamlined mAb development process. you get full ownership and exclusive rights of the antibodies developed. to make it to the market: we strive to develop the best possible antibody as we understand that it plays a major role to reach the market. we propose a complete toolbox to deliver you a clinical candidate with optimal properties to reach the clinic and the market. our highly skilled experts guide you along the whole therapeutic drug development process and provide you the most relevant scientific data to make your decisions. your project deserves the best equipment to be realized in an efficient manner. 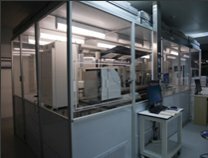 our drug development process is fully customizable. You can start at each step of the process depending on your project progress. These considerations are of primary importance in the drug development race. ProteoGenix understands these major issues. For this reason, we put our 15 years of expertise at your disposal to support your antibody drug discovery and development process. As each project is unique, our experts design a custom and optimized project plan to reach your target. However, we know that drug discovery and development is not a static and always predictable process. For this reason, ProteoGenix offers therapeutic antibody services including several milestones (Go / No Go) along the process and we help our customers in their decision-making by generating relevant scientific data. These steps also represent unique opportunities to discuss about the project progresses and the future outcomes in-depth. Choosing ProteoGenix means working with a company which developed more than 500 monoclonal antibodies and more than 100 recombinant proteins for various applications. Our extensive experience in the development and engineering of antibodies allows us to propose a wide range of solutions to successfully develop your clinical candidate. That is also why we trust our capabilities to fulfill all your requirements and propose unrivalled guarantees at each step of our process. A key factor of success in the generation of high-quality antibodies depends on the quality of the antigen design. With more than 500 monoclonal antibodies successfully developed, ProteoGenix is the best choice for your antigen design. We combine the largest panel of antigen design solution (DNA, peptide, 5 different protein expression systems, cell) with the highest expertise on the market to synthesize antigen corresponding to the closest form of your native target. Provide us your target sequence and our scientists will define the best strategy to generate high-quality antibodies. Offer the best start to your project by working with ProteoGenix! Bringing the most adapted answer to your project is our first priority. For this reason, ProteoGenix offers the choice between in vivo (hybridoma development or phage display on immune library) and in vitro (phage display on naive library) antibody generation techniques. Choosing our phage display services means also benefiting from at least 3 different binders guaranteed that can be optimized using our best-in-class therapeutic engineering services. Hybridoma development is another reference when it comes to develop therapeutic antibodies. Generating high-quality hybridomas requires choosing the best immunization strategy. For this reason, ProteoGenix offers the largest panel of solutions: peptide, protein, cell or DNA immunization. The hybridomas obtained are selected and guaranteed in the functional assay of your choice. Whether your challenge implies a difficult-to-express target or even short timelines… Our highly-skilled scientists surely have the most accurate solution. Characterizing your leads is of primary importance when it comes to the selection of your best candidate. Going to the wrong direction can imply significant money and time losses and, in the worst case, lead to the end of the project. Not satisfied of your current antibody transient expression yield? Tried many other cell lines without success? It’s time to try XtenCHOTM. Our unique proprietary cell line XtenCHOTM already overperformed many of the best cell lines on the market, including ExpiCHO, for the production of monoclonal antibodies including therapeutic antibodies such as Utomilumab and Pembrolizumab (yields up to 800 mg/L). You earn a future blockbuster but you are not reaching high antibody stable expression yield? Offer to your project our “yield-guaranteed” stable cell line development service to reach antibody expression yields up to 3 g/L. 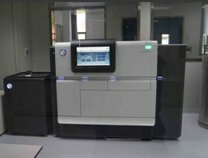 ProteoGenix is continuously investing in new equipment to offer to its customers an access to the best technologies. Here are few examples of the latest investments made to propose you cutting-edge science. Let’s team up to move your therapeutic antibody development project to the clinic! As a privileged partner for your therapeutic antibody generation, ProteoGenix is fully committed in contributing to the success of its customers’ biotherapeutic projects. 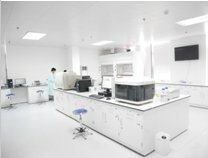 To reach this goal, we rely on the expertise of scientists having more than 25 years of experience in the development of therapeutic antibodies in different disease areas (including antibodies currently on the market and over 30 antibodies in clinical or preclinical phases) and on best-in-class equipment. Let us support your therapeutic antibody discovery project and get access to the world most complete solution to develop your antibody drug candidate.